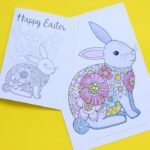 Well, after the lovely Easy Peasy and Fun and I shared the 3D Spring Wreaths with you – and you clearly loved them **SO MUCH**, we thought we would quickly create a pair of EASTER Wreath Coloring Pages for you. They are JUST as cute and super fun to print, colour and assemble. Instead of the cute 3D Butterflies, you get to add some adorable dangly Easter Baskets. So sweet! 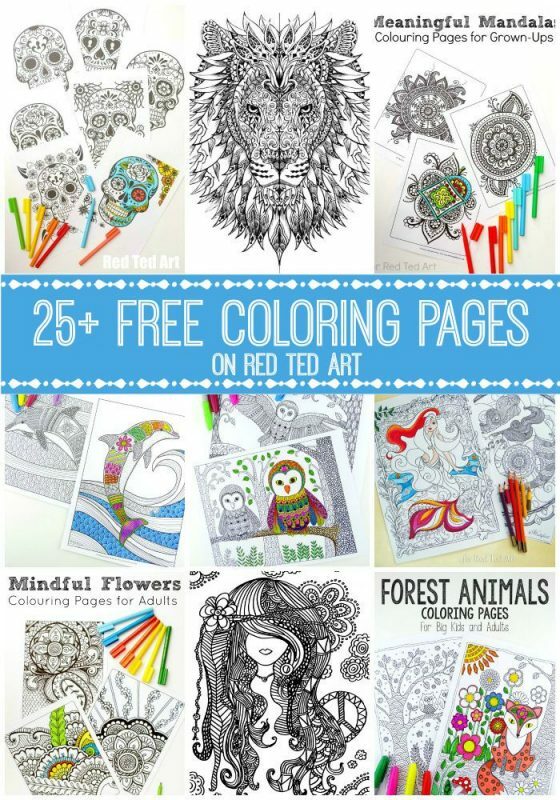 Hopefully these coloring pages are just what you need for an hour or two of calm, during the Easter holidays. 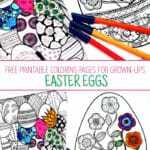 We know how long the Easter holidays can stretch before you, and sitting down for some zen coloring time with the kids, may be just the ticket. 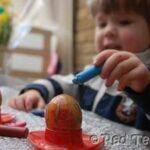 I love that the kids go out and play lots during the Easter holidays – but every so often, they start to squabble or get ansty. Be it over a ball in the garden or the having a go on the sea -saw. I find the best remedy for that, is to clear the kitchen table from clutter. Lay out some lovely coloring pens or pencils (I share our favourites below), get some adorable printables, like todayes, Easter Wreath Coloring Pages, and sit them down, with a snack. I can then usually still get on with a little work (I bring my laptop to the kitchen table) or continue with whatever other household chore I was trying to complete. The best bit? They get a super duper cute and easy room decoration out of it too! Love. 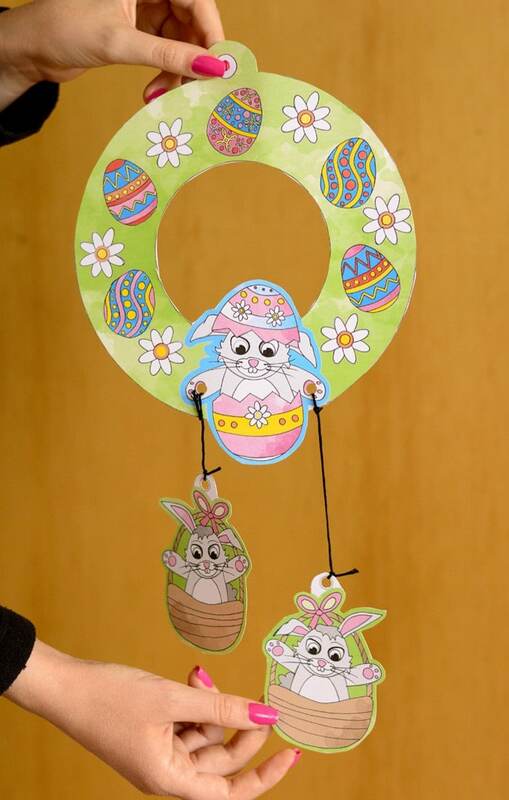 If you mount these Easter wreaths on card, they will last a little longer too! 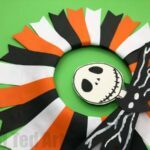 As mentioned, this time we have a PAIR of wreaths – one here on Red Ted Art and the other Easy Peasy and Fun’s website. We have also provided a ready coloured option for you this time. 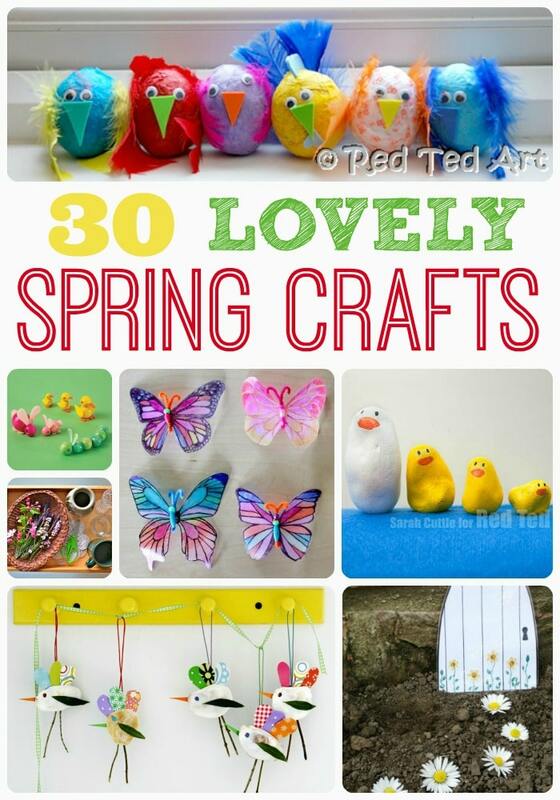 So use them as coloring pages or just as an easy to assemble Easter decoration (great for getting kids to practice their writing skills too. 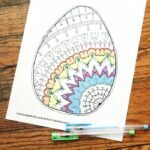 As you can imagine this is a straight forward DIY for you – download your free Easter Wreath Coloring Sheets. 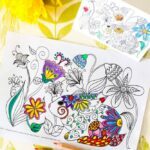 Color to your hearts content – using pencils, felt tips.. and anything else that grabs your fancy! Or if you are short for time, use the pre colored printables. 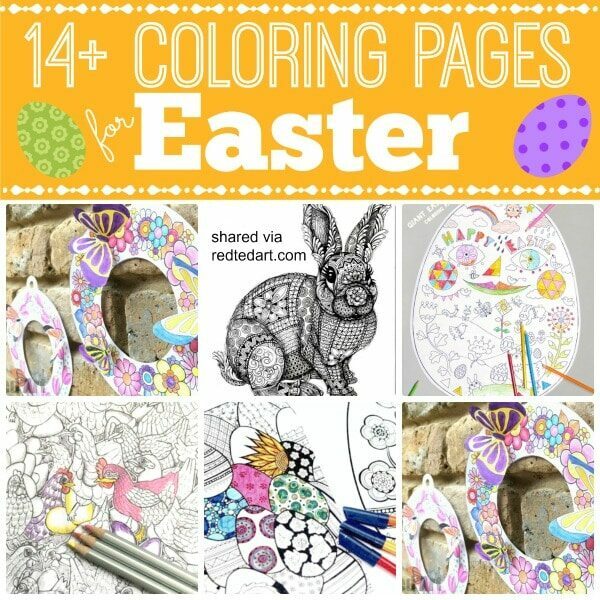 EXTRA: why not scan your colored in Easter Wreath.. then you can print it off later and make lots of copies of your fabulous coloring!!! We have a card making idea using a scanned copy coming later in the week! 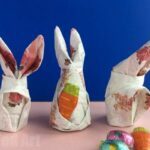 Carefully cut out your Easter Wreaths and paper Easter Baskets. String up your baskets on some fun bakers twine and hang 1, 2 or 3 from your Easter Wreath!